Dr. Putterman can perform other corrective procedures at the same time he removes excess eyelid skin and fat. Droopy eyelids can be corrected by tightening the muscles. One technique to accomplish this purpose is the simple, 20-minute “Muller’s Muscle Resection” invented by Dr. Putterman. 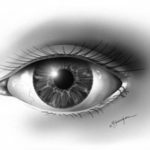 When droopy eyelids obstruct vision, this operation can correct the problem. 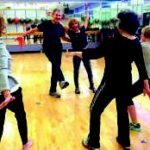 An easy test determines candidates for this technique. 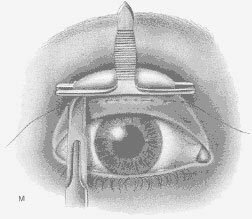 A clamp that Dr. Putterman has invented is used to secure a section of muscle and inner lining of upper eyelid. 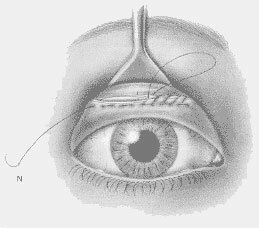 After a suture connects the tissues under the clamp, the muscle and inner lining of the upper eyelid is removed. The remaining eyelid muscle and inner lining of the eyelid is then connected together so that the remaining muscle is advanced. Illustrations are from Dr. Putterman's textbook "Cosmetic Oculoplastic Surgery".